I rose yesterday morning with no trace of the hangover that might have been expected given the excesses of the previous evening. The morning scales reading (net weight, pre-breakfast) was also unexpectedly low, but despite the lack of any immediate requirement to try to lose weight, I resolved to run on the beach. Mostly this was because the the day looked so promising: low tide, relatively low wind, clear skies, but early enough not to be scorching. On the beach, it was just so – and perfect for barefoot running. The wind was a fairly constant south-easter with no sandpapering from the wind drift, and blowing gently and orthoganally to the direction of my steady labrador-style lope (tongue hanging out, ears down, goofy grin at passers by). The sea was heavy, but due to the crisp morning light, the hue was a quite nice translucent dark turquoise. 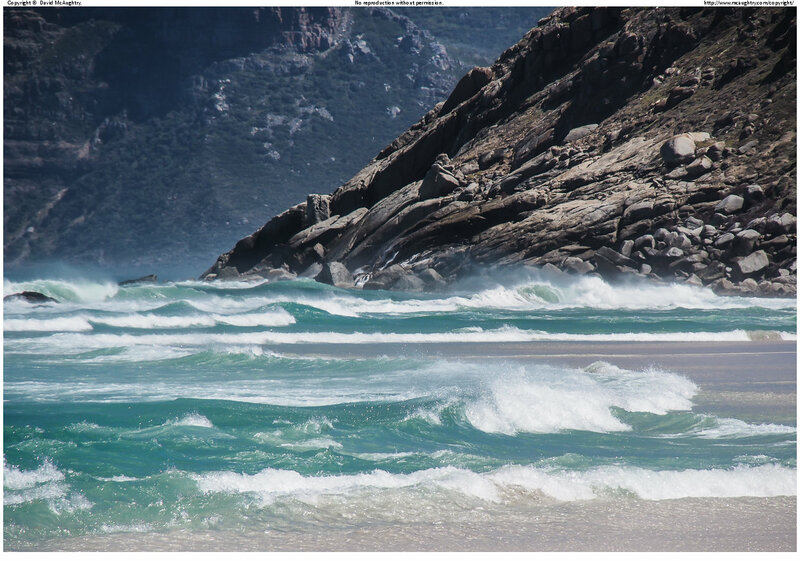 And the surf was just exploding off the tip of Chapmans peak. In the way of these things, the colour was different from different vantage points. From a few hundred metres away it was lighter and bluer. 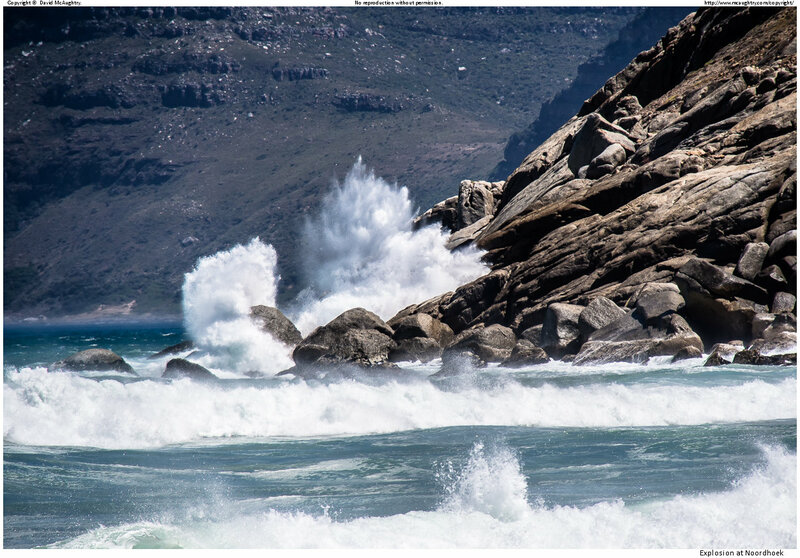 The sea was really quite busy that day, and I particularly liked the repeated patten of the breakers, giving depth to the scene as your eye travels to the edge of Chappies. All in all a classic Nordheok morning.